March has been designated as National Nutrition Month – an annual nutrition, education and information campaign that focuses on the importance of making informed food choices and developing sound eating and physical activity habits. In honor of this special observance, Jamaica Hospital would like to share with our community the important role our Registered Dieticians (RDs) play in helping our patients meet their nutritional goals. 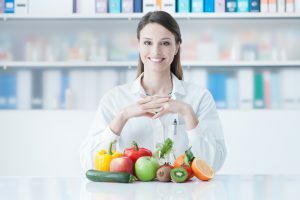 A Registered Dietitian is a trained nutrition professional who has met the strict educational and experiential standards set forth by the Commission on Dietetic Registration of the Academy of Nutrition and Dietetics. They can be employed in a variety of areas including hospitals, outpatient clinics, corporate wellness programs, food service operations, universities, research, or private practice, just to name a few. RDs advise and counsel others on food and nutrition. They explain nutrition issues to their patients, develop meal plans for them and measure the effects of those plans. Complete continuing professional education credits. At Jamaica Hospital, dietitians are available for the following services: nutrition assessment, diet instruction, recommendations for enteral and parenteral support, staff in-service, food and drug interactions, and nutrition counseling in the outpatient setting. Jamaica Hospital would like to thank our Registered Dieticians for the very important job they do every day. Their hard work help our patients and community live a much healthier lifestyle. 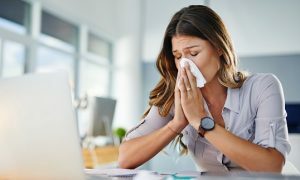 Is Taking Zinc Beneficial for Treating a Cold ? Using zinc is one of the many home remedies people take when they feel like they have a common cold. Those who use it believe that it helps to shorten the duration of the cold and even lessen its symptoms. The common cold is caused by the rhinovirus. This virus enters the body through the nasal passageway and the throat and multiplies rapidly once it is there. The theory behind taking zinc is that it helps to prevent the virus from multiplying once it is in the body, thereby potentially shortening the duration of the cold. It also plays an important role in the body’s ability to resist infection and to help tissue repair. The best way to take zinc is in lozenge form. It is recommended that the lozenge contain 13 to 23 milligrams of zinc and no more than four be taken per day, and not for more than four or five days. Taking too much zinc can actually suppress the immune system and can cause an upset stomach and give you a metallic taste in your mouth. While zinc is also available as a throat spray, it has side effects such as loss of the ability to smell. It is important to note that drinking coffee, tea or taking certain medications can inhibit the absorption of zinc by the intestines. 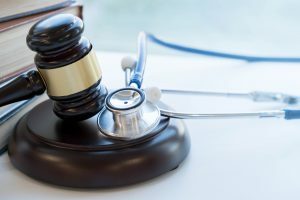 It is a good idea to speak with your physician before taking it to make sure that is safe for you. If you would like to be seen by a doctor at Jamaica Hospital Medical Center you may call 718-206-7001 to schedule an appointment. January is National Birth Defects Prevention Month. Jamaica Hospital would like to join the national effort to increase awareness about birth defects and what can cause them. While not all birth defects are preventable, there are certain healthy behaviors that can be practiced to increase your chances of having a healthy baby. Take 400 micrograms of folic acid every day. Folic acid is important because it can help prevent some major birth defects of the baby’s brain and spine. 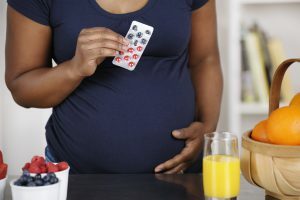 Most vitamins contain the recommended amount of folic acid, but women should check the label to be sure it contains 100% of the daily value (DV) of folic acid. Speak with your healthcare provider before you begin or stop taking any medicine. If you are planning to become pregnant, discuss your current medicines with a healthcare provider, such as your doctor or pharmacist. Creating a treatment plan for your health condition before you are pregnant can help keep you and your developing baby healthy. Remain up to date with all vaccines, including your flu shot. Vaccines help protect you and your developing baby against serious diseases. Get a flu shot and whooping cough vaccine (also called Tdap) during each pregnancy to help protect yourself and your baby. Attempt to reach a healthy weight before getting pregnant. Obesity increases the risk for several serious birth defects and other pregnancy complications. If you are overweight (or underweight), speak with your healthcare provider about ways to maintain a healthy weight before you become pregnant. Avoid harmful substances, such as alcohol, tobacco, and other drugs during pregnancy. Smoking during pregnancy can harm the developing baby and can cause certain birth defects. Alcohol can also cause problems for a developing baby throughout pregnancy. Using certain drugs during pregnancy can cause health problems for a woman and her developing baby. By following these recommended tips, you will be doing what is best for you and your baby. Speak to your doctor about other ways to increase your chances of having a healthy baby. To make an appointment at Jamaica Hospital’s Women’s Health Center, please call 718- 291-3276. Ulcerative colitis (UC) is a chronic bowel disease that affects the large intestine, or colon. 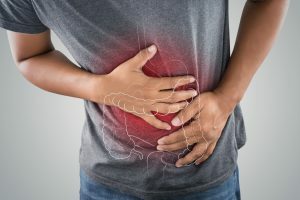 People with UC experience inflammation of the colon, which is typically marked by swelling and irritation that eventually leads to the development of ulcers (open sores) that produce blood, pus, and mucus. There is currently no cure for UC so those with the disease usually have symptom flare-ups off and on for life. Ulcerative colitis occurs when the immune mistakenly identifies food, good gut bacteria, and the cells that line your colon as intruders. When this happens, the white blood cells that usually protect us, attack the lining of our colon instead, which causes inflammation and ulcers. While doctors don’t know definitively what causes UC, some believe that both genetics and environmental factors may play a role in the development of the disease for some. While other factors such as food and stress don’t cause UC, they can trigger a flare-up of symptoms. Your doctor will use different tests to determine if you have UC or another type of gut disease. Tests typically include stool and blood samples, x-rays, or a flexible sigmoidoscopy or colonoscopy where tubes containing cameras are used to view the inside of the colon and take a biopsy of its lining. If UC is confirmed, your doctor will work with you to address your symptoms and prevent future flare-ups. This may include altering your diet and prescribing certain medications to reduce inflammation and stop your immune system from attacking your colon. In severe cases, a surgical procedure to remove your colon (colectomy) may be required. If you are experiencing symptoms of colitis, you should schedule an appointment with your doctor. If you do not have one, Jamaica Hospital has qualified physicians that can diagnose and help you manage this condition. To make an appointment, please call 718-206-7001. 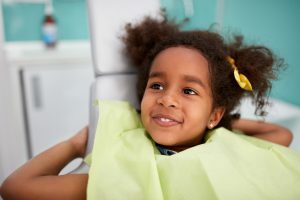 Pediatric dentists take a holistic approach to providing care to children and work with parents to identify environmental factors that may contribute to poor dental health, such as dietary choices and the potential risks associated with habits such as thumb sucking, teeth grinding or the use of a pacifier. These interactive opportunities serve to empower the entire family to lead a healthier lifestyle. Statistics indicate that pre-school children are getting more cavities than ever before, with one out of every four children having one by the age of four. In addition, children miss more time from school due to tooth aches than they do from the flu. Due to these alarming facts a pediatric dentist will practice developmentally-based dental care by focusing a great deal of time during your child’s initial visits on teaching them about good dental habits, such as how to properly take care of their gums and teeth. 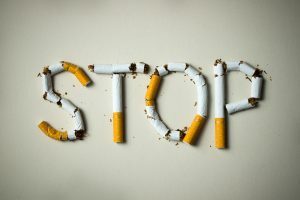 If you would like more information about quitting smoking please call the American Cancer Society at 1-800-227-2345. If you would like to schedule an appointment with a doctor at Jamaica Hospital to discuss smoking cessation, please call 718-206-8494. 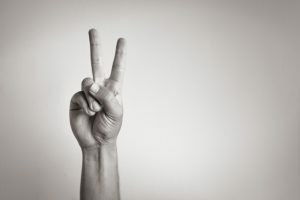 November has been recognized as Bladder Health Awareness month, to serve as a reminder to get the facts about common bladder health problems and to encourage patients to take an active role in their bladder health. There are many conditions that can affect the bladder one of the most common is urinary incontinence. Urinary incontinence is the involuntary loss or leakage of urine. According to the American Urological Association, about 1 out of 2 women and 1 out of 4 men suffer from some type of urinary incontinence. Urge incontinence also known as overactive bladder and stress incontinence are the two most common forms of this health issue. Urge urinary incontinence is when urine leakage occurs with the sudden and strong desire to urinate. Stress urinary incontinence is when urine leakage occurs with physical activity such as laughing, sneezing, lifting or exercise. There are instances in which both urge and stress incontinence symptoms occur; this is known as mixed incontinence. Depending on the type of urinary incontinence, extent of symptoms and treatment goals there may be one or more treatment options. There are a few things you can do to prevent common bladder health problems. Here are a few helpful health bladder tips. If fear of leaking urine stops you from doing things you enjoy, it may be time to consider treatment. 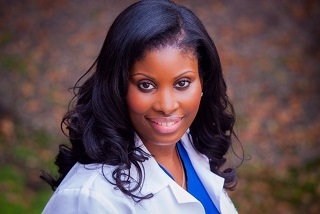 Here at Jamaica Hospital we have providers who specialize in the treatment of bladder control issues. To learn more about treatment options for urinary incontinence or to schedule an appointment with one of our Urogynecologist, please call 718-206-7001.